Silver Creek is a silver based color which produces the most exciting metallic purples and vermilions as well as silvery greens and blues. It is a very stable color. 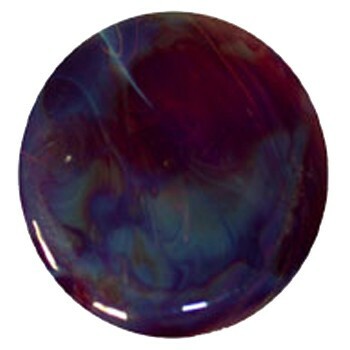 It behaves similarly in the flame as C3-13 Amber Purple and C3-26 Double Amber Purple, but because of its greater core range, more care has to be taken to prevent reduction and boiling. C3-105 Silver Creek can be stretched and can be blown relatively thin without losing the vibrant colors. Try using with other colors to achieve multi layered color combinations.